First of all, I’d like to apologize for the lack of posts. My life these past two weeks have been a hectic whirlwind of finals for school, horseback riding, and planning/baking for a joint birthday party (more on that in the near future!) 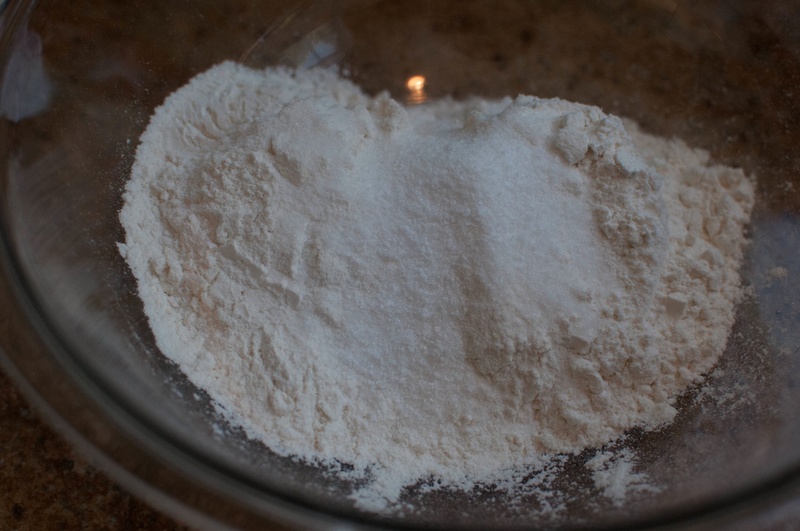 For this week’s post, I chose to share this flaky, wonderful buttermilk pie crust recipe which I made for the first time a few weeks ago. I love pie crust. I love pie crust so much, in fact, that I would be perfectly content baking a crust as you would cookies and eating them plain. 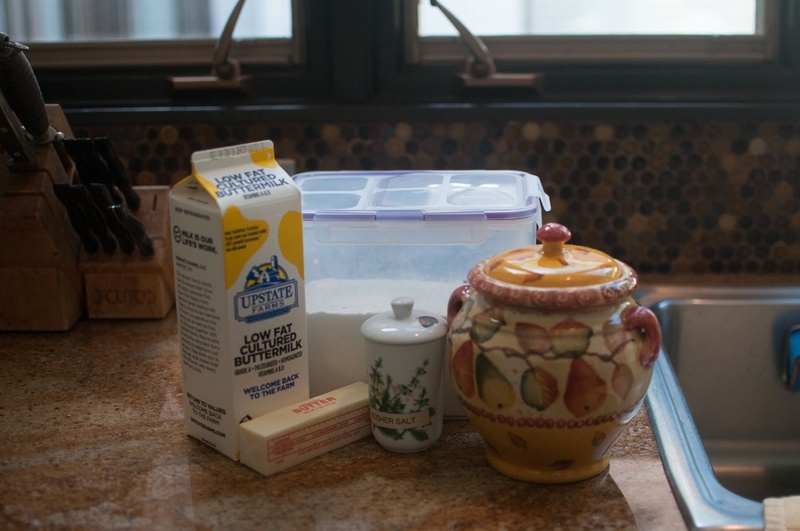 This recipe from Joy the Baker, which uses buttermilk and butter, is definitely a keeper. Flour, butter, sugar, buttermilk, and salt. Simple stuff! … Along with the sugar and salt. Give it a whisk, just to combine everything. 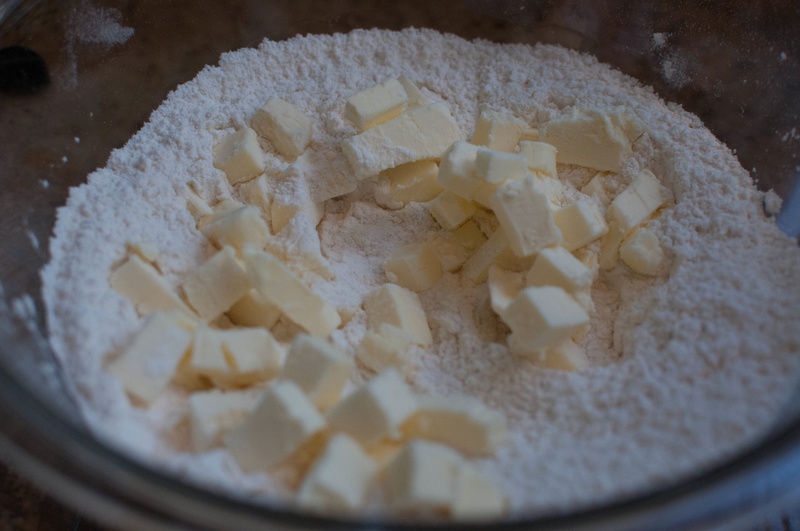 Next take a stick of cold butter out of the fridge and cut it into cubes before dropping it into the flour mixture. 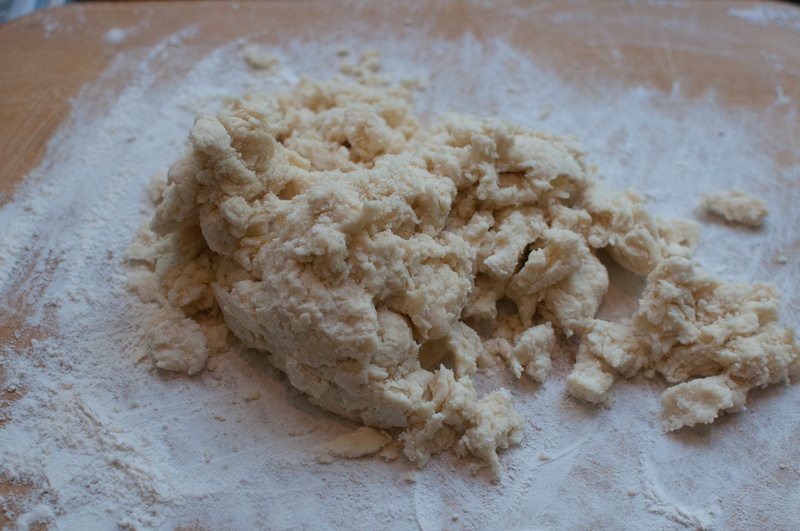 Using your fingertips, quickly cut the butter into the flour until the mixture resembles a mix of pea shaped lumps of butter and slightly larger pieces. 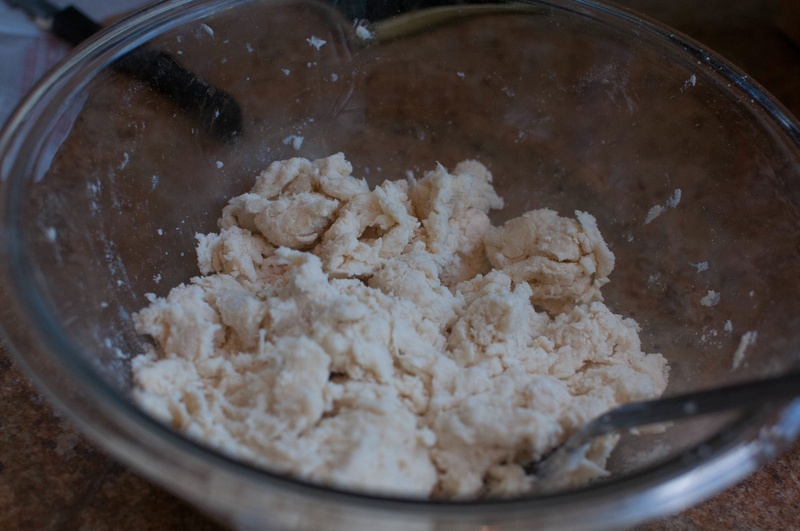 Mix with a fork until the dough starts to come together, adding a bit more buttermilk if it looks like it could use some. 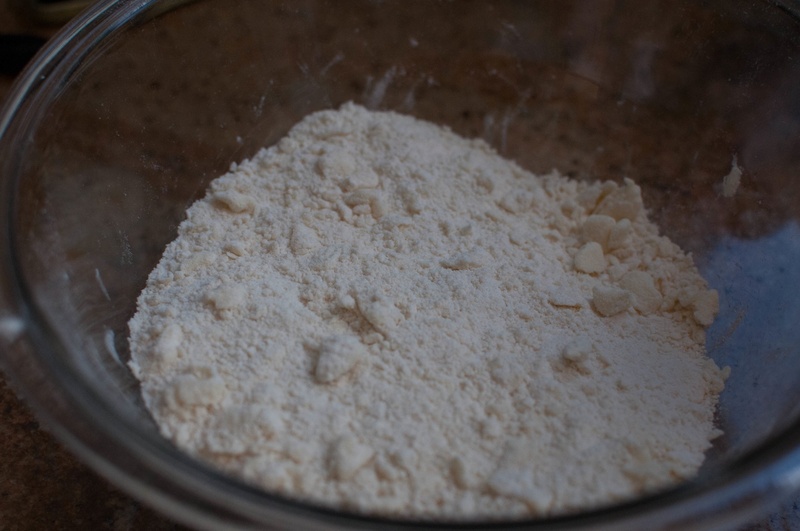 All of the floury crumbs should be moist, but the dough itself should not be wet. Lightly flour a work space. P.S. I took these photos with my dad’s camera, which explains the better quality and cool hue. 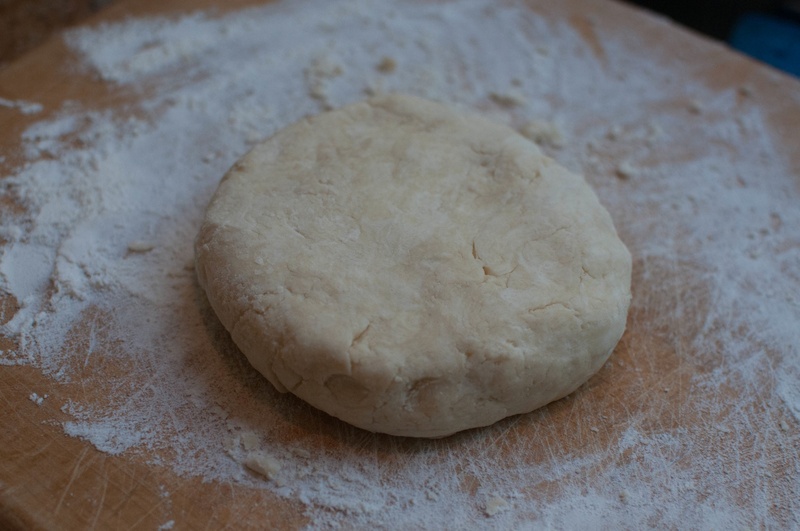 Dump the dough out and knead it– gently, please– into a disk. Now just wrap it in plastic wrap and pop it in the fridge for a good hour or so. Please don’t mind the abundance of yogurt that was in my grandmother’s fridge. Anyway, after this your pie crust should be ready to go! To use it, you’ll want to roll it out, put it in your pie pan, and then cover it in plastic wrap again and refrigerate it for at least another 30 minutes. 2. Add in butter and use your fingertips to incorporate it into the flour mixture until the butter pieces are around the size of peas, with some slightly larger lumps. 3. 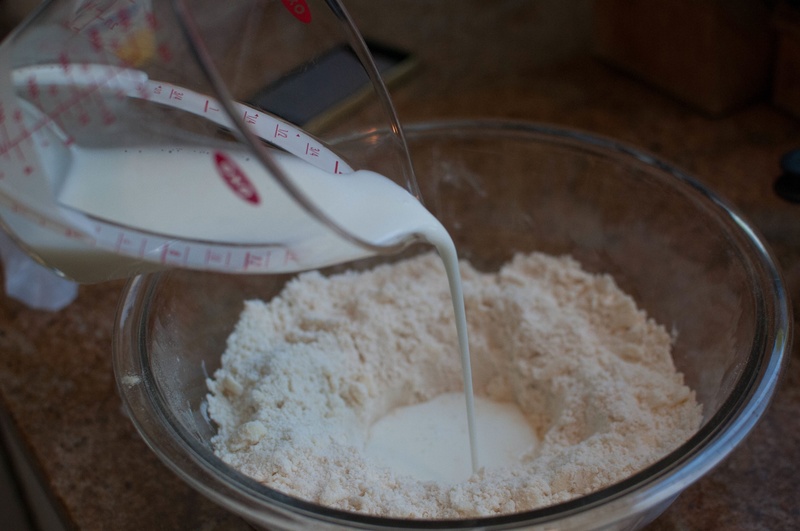 Create a well in the mixture and pour in you buttermilk. 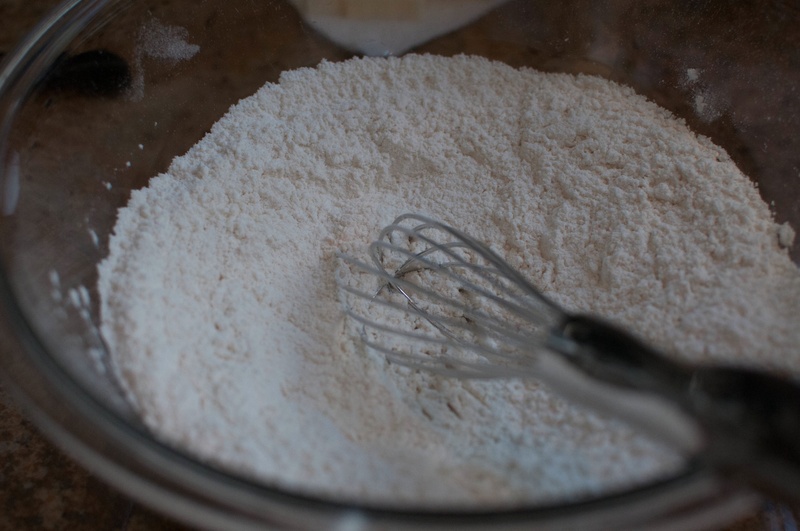 Use a fork to mix and moisten all of the flour crumbs, adding a bit more buttermilk if needed. 4. 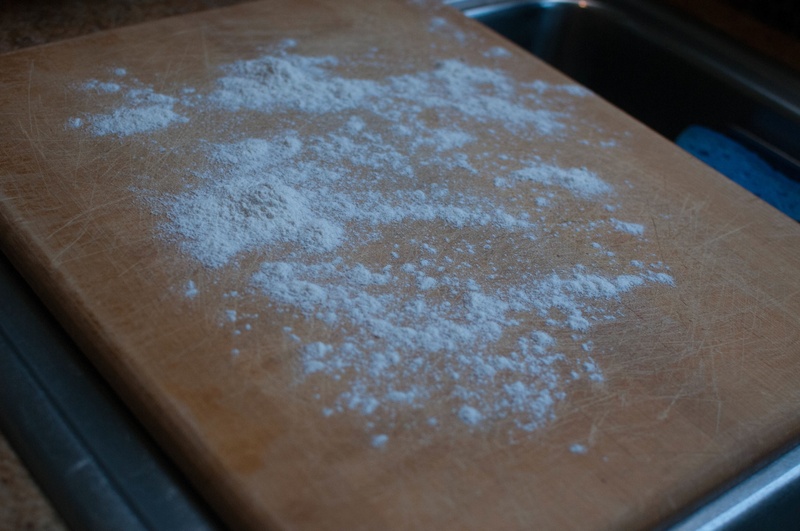 Lightly flour a work surface and dump out the dough. 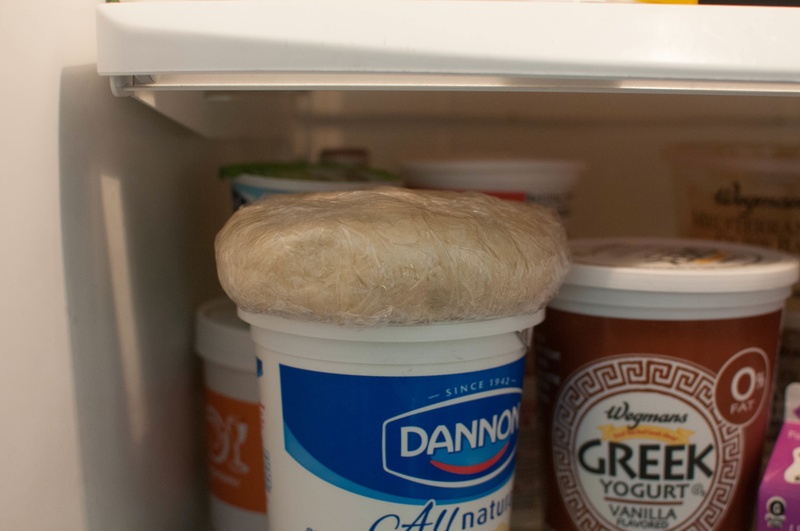 Knead gently into a disk, wrap with plastic wrap, and refrigerate for 1 hour. 5. 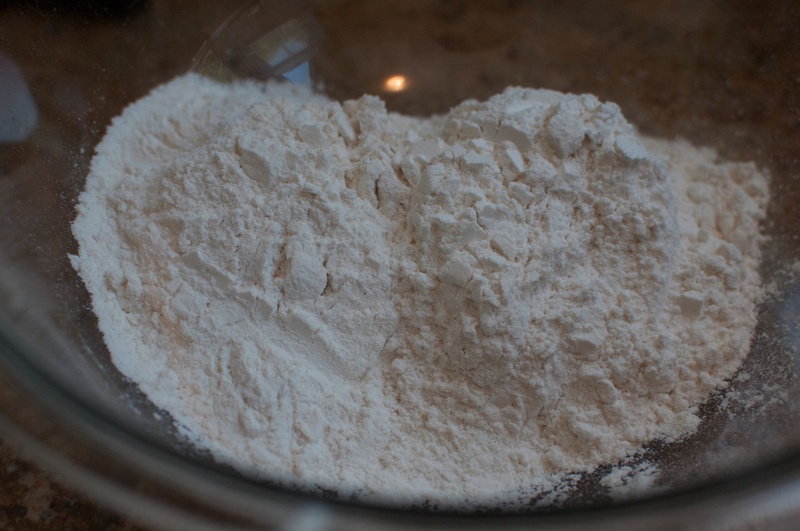 TO USE: Roll out the dough to 1/8 inch thick and place in pie pan. Cover with plastic wrap and refrigerate for 30 minutes to 3 hours before assembling the rest of your pie. I hope you all enjoy this recipe, and happy nibbling!